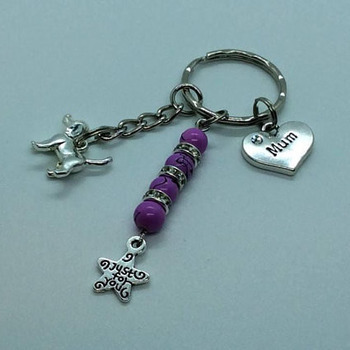 1Mum bead and charm keyring. 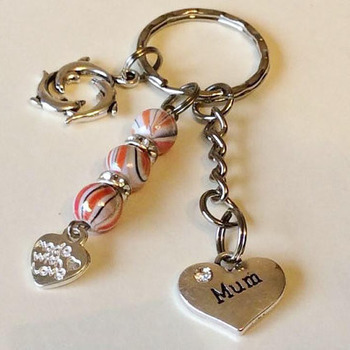 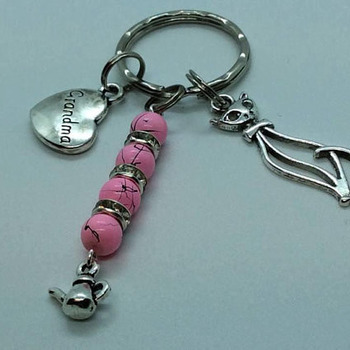 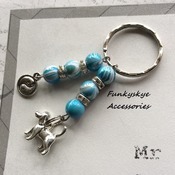 This pretty keyring is handmade and make the perfect gift for that special mum. 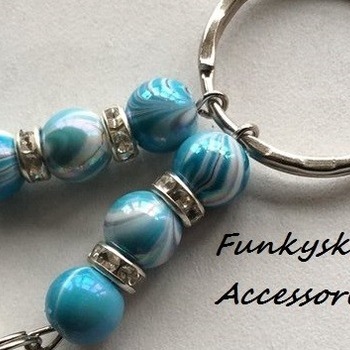 The actuall ring is 25mm. 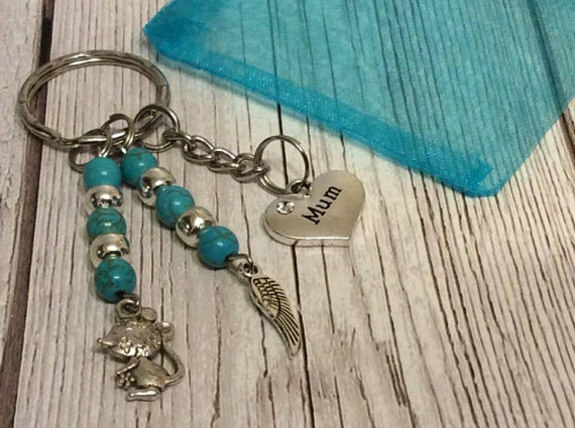 Heart mum charm, mouse charm and feather charm. 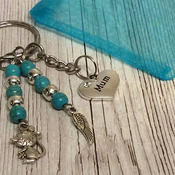 Includes the organza gift bag.